KUALA LUMPUR (Sept 15): Perak Transit Bhd, which is seeking a listing on the ACE Market of Bursa Malaysia, intends to raise RM36.75 million through its initial public offering (IPO). According to the public transportation services provider, its IPO involves the issuance of 245 million shares, of which 58 million will be offered to the public, while 187 million will be placed to selected investors. About 54.42% of the proceeds will be allocated to partially finance the construction of Terminal Kampar, which costs about RM128.33 million, it said. "The construction of Terminal Kampar is expected to commence in the second half of 2016 and targets to complete in 18 months," Perak Transit said in its IPO prospectus issued today. "We estimate to procure financing facilities of RM100 million to finance the construction of the terminal," it said. 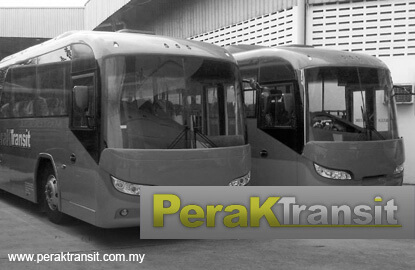 Perak Transit said 28.52% of the IPO proceeds of RM36.75 million will be used for working capital purposes, another 11.32% to defray listing expenses and a further 5.74% for the repayment of hire purchase facilities to several financial institutions. The company did not mention any specific dividend policy. But it plans to pay up to 25% of its net profit as dividend for the financial year ended April 30, 2016 (FY16) and FY17. The company's promoters and substantial shareholders are managing director Datuk Seri Cheong Kong Fitt, executive director Datuk Cheong Peak Sooi, Datin Seri Lim Sow Keng, CBS Link Sdn Bhd, Muamalat Venture Sdn Bhd, MTD Capital Bhd, Senandung Asas Sdn Bhd and Gemas Perunding Sdn Bhd.